Item # 311993 Stash Points: 1,999 (?) This is the number of points you get in The Zumiez Stash for purchasing this item. Stash points are redeemable for exclusive rewards only available to Zumiez Stash members. To redeem your points check out the rewards catalog on thestash.zumiez.com. Add a subtle splash of edgy style to your daily fashion in the By Samii Ryan Let Me Go White & Pink Web Belt. 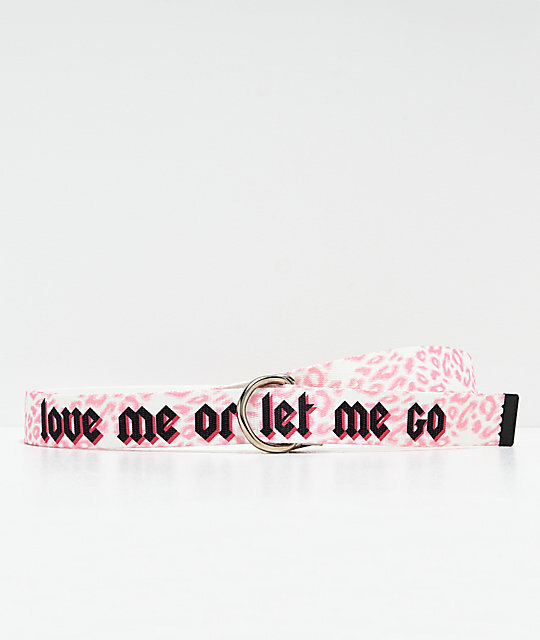 This mostly white belt features vibrant pink leopard print throughout accompanied by script detailing that reads "love me or let me go" for a truly striking look. Let Me Go White & Pink Web Belt from By Samii Ryan. 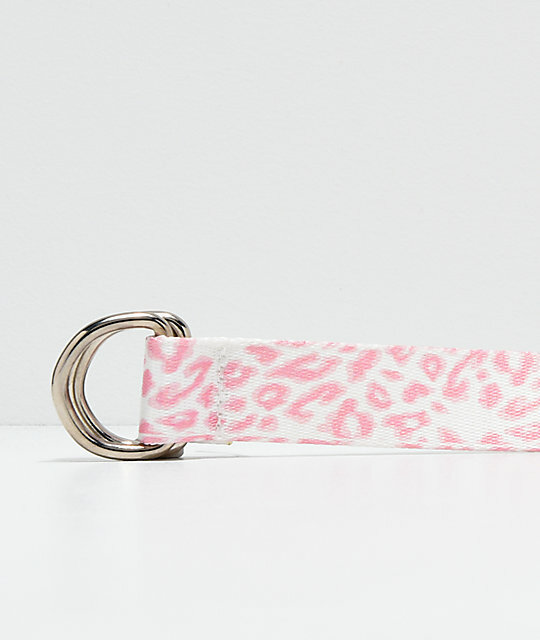 Pink leopard print throughout with "love me or let me go" written above the end piece.